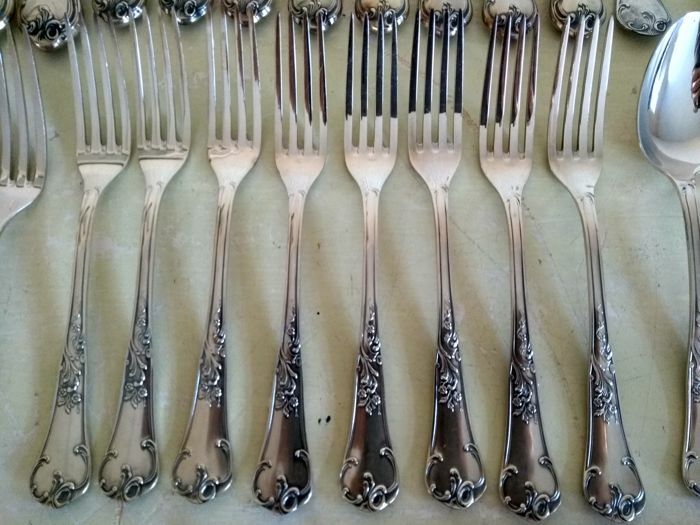 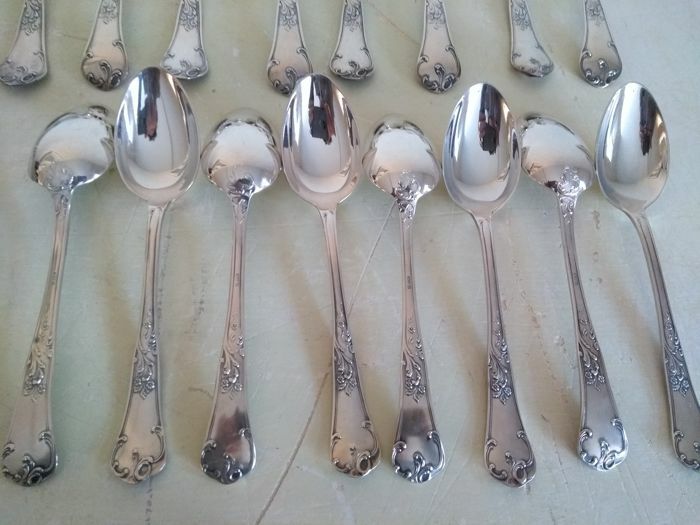 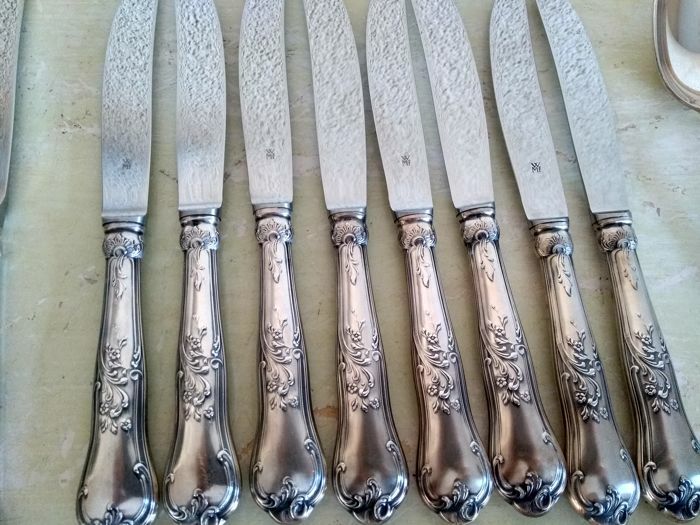 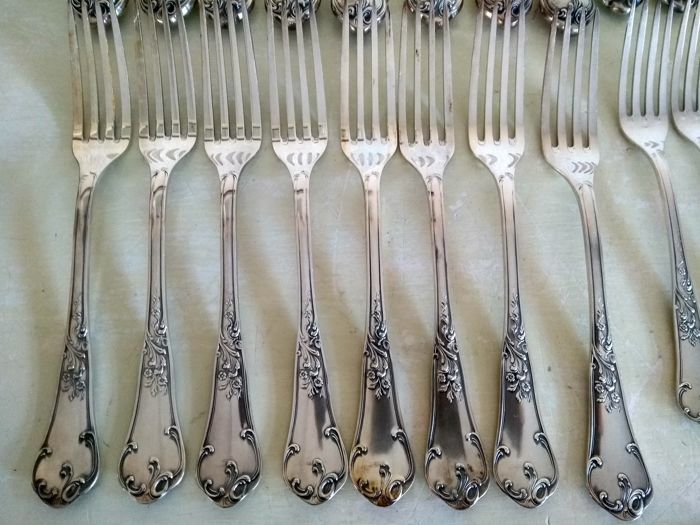 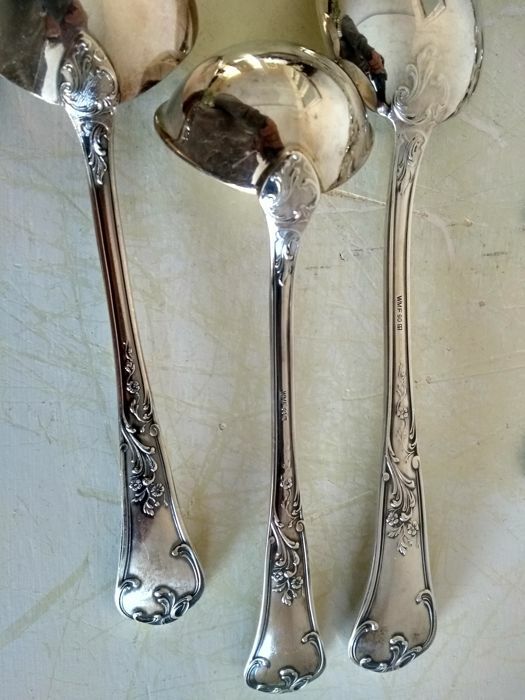 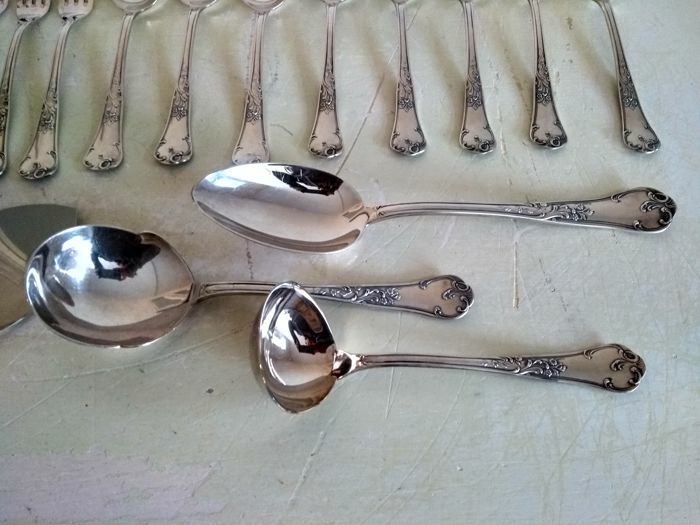 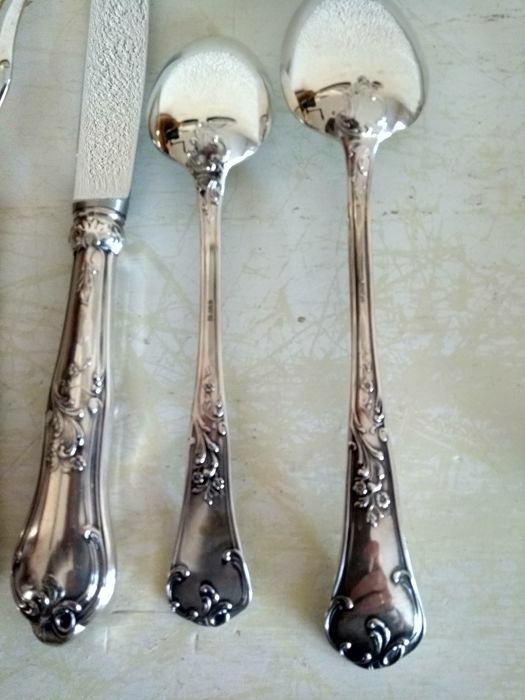 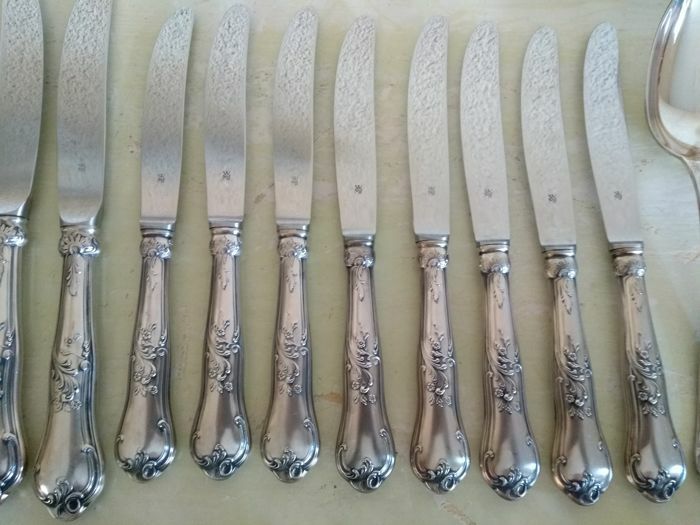 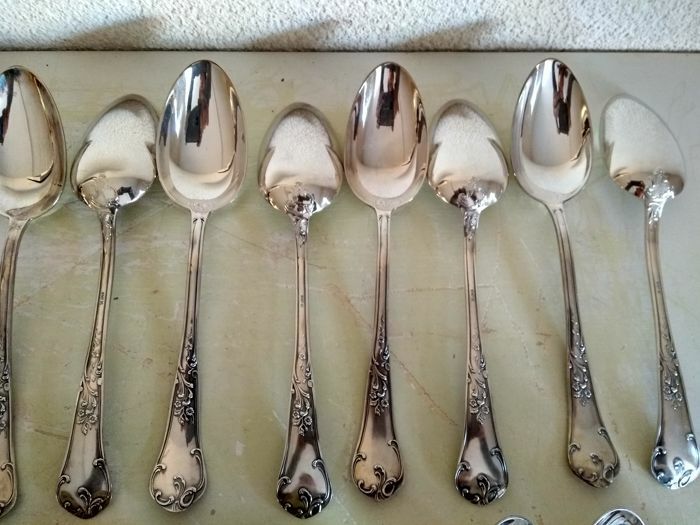 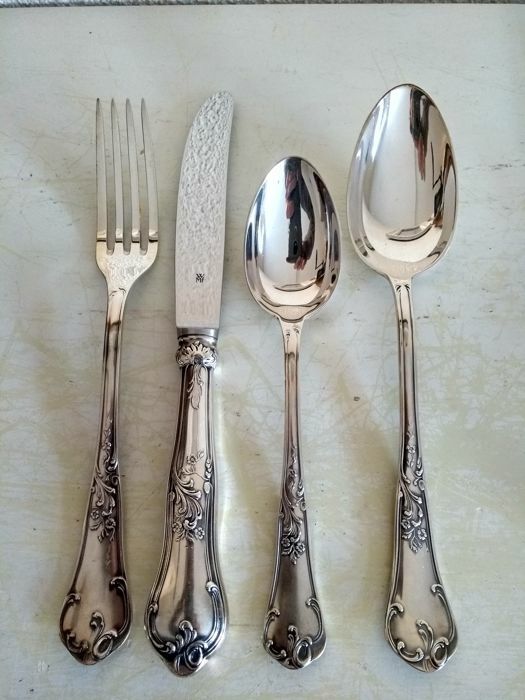 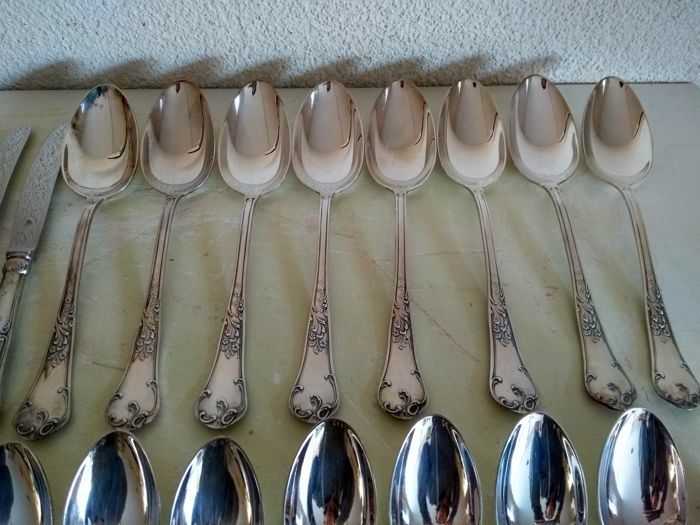 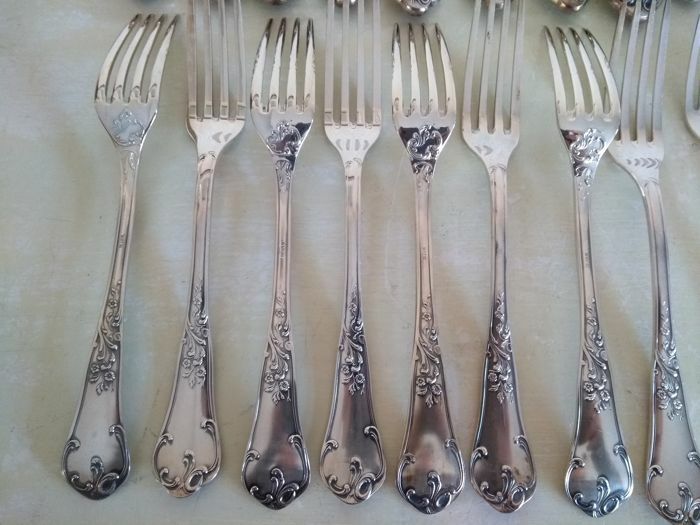 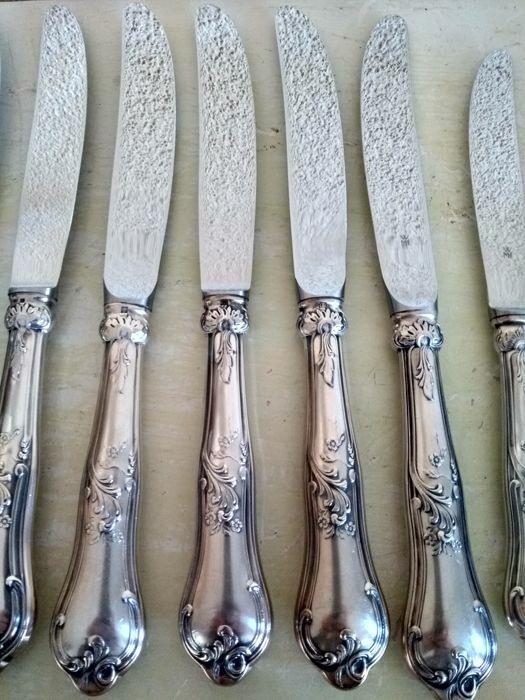 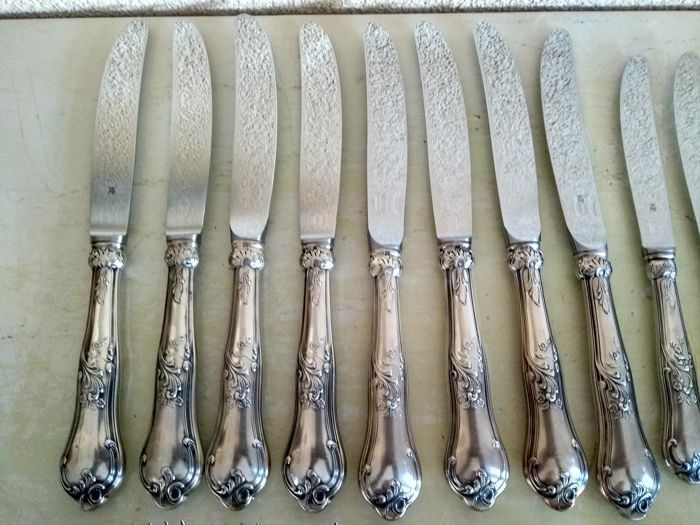 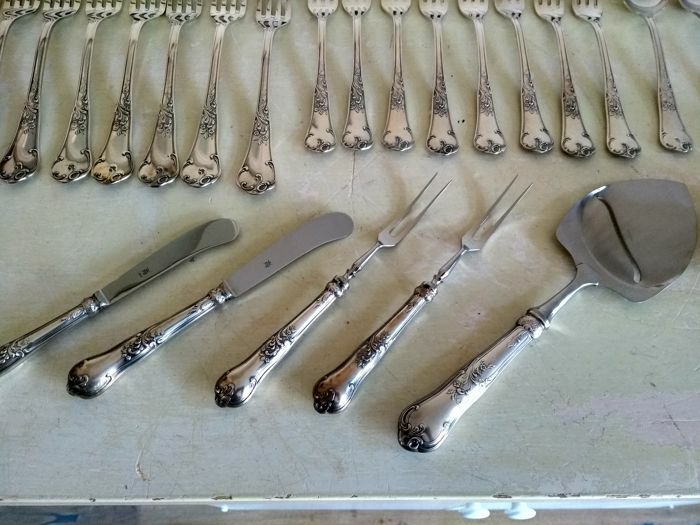 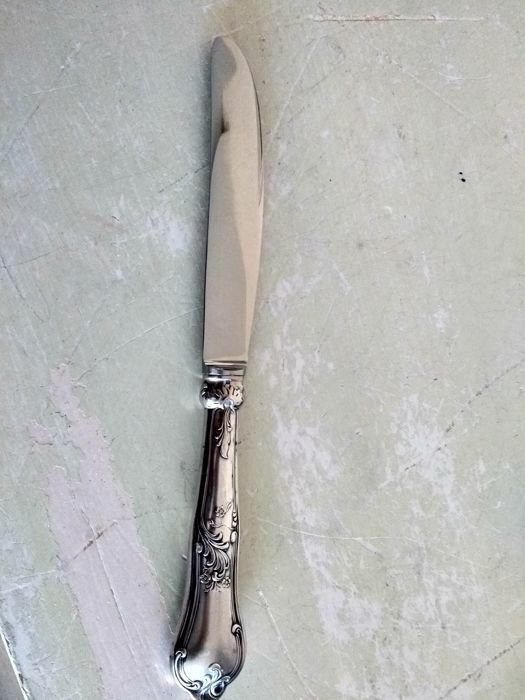 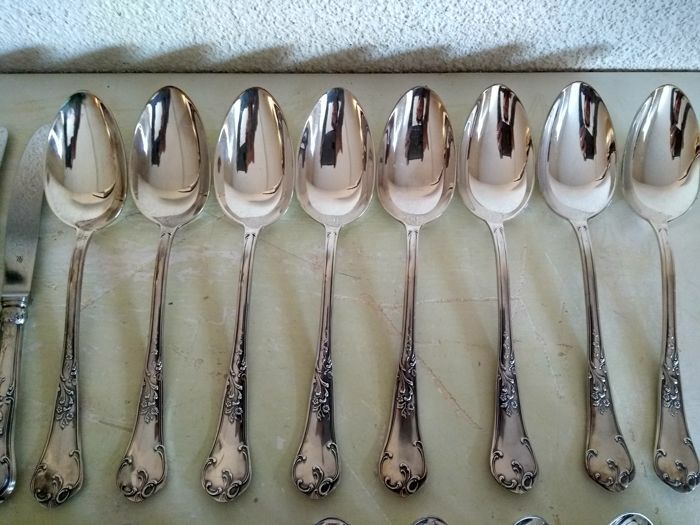 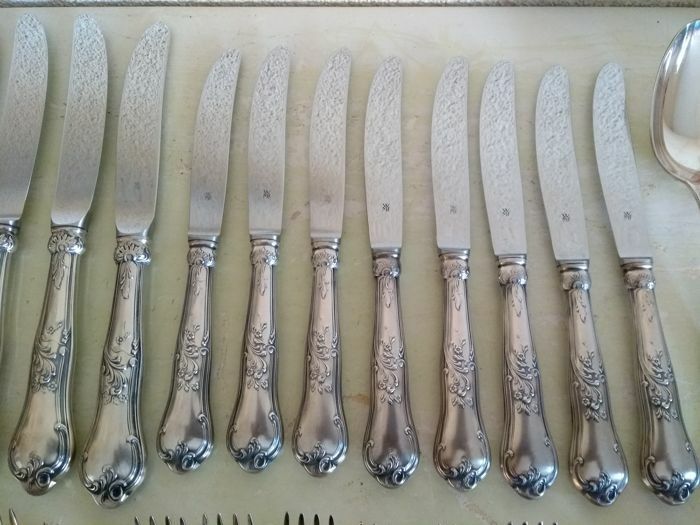 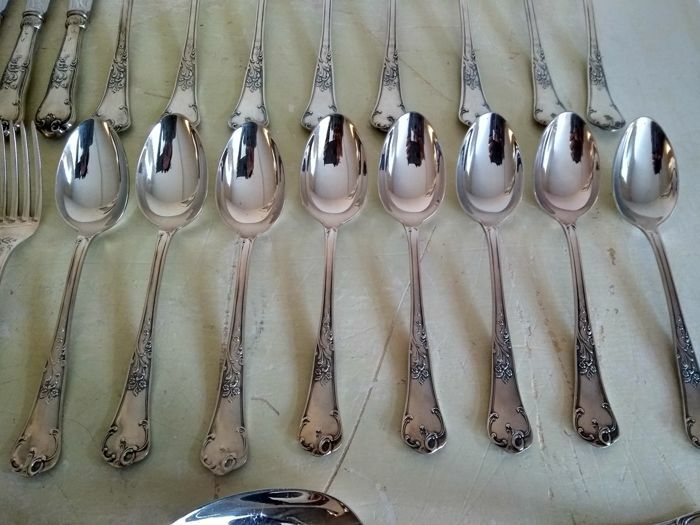 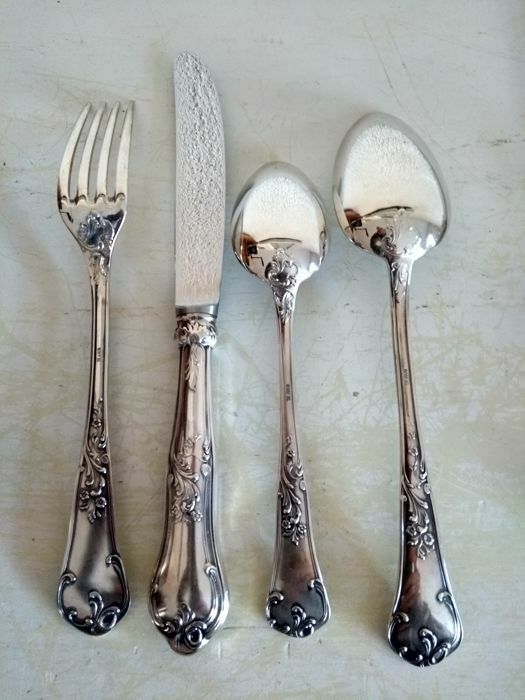 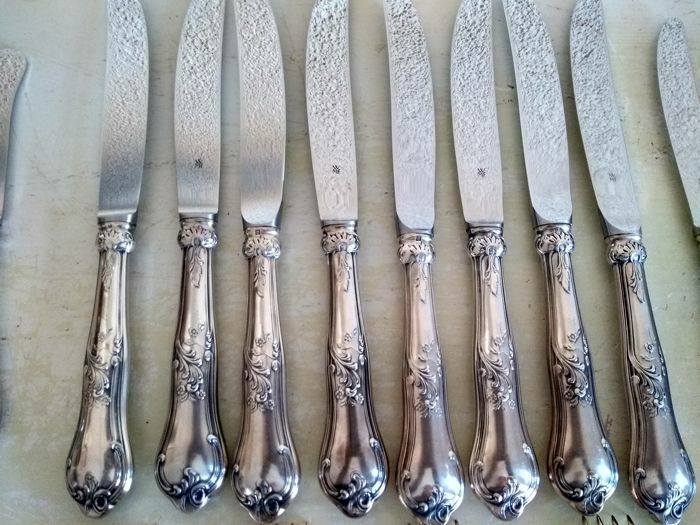 Eight person silver plated cutlery, WMF 90.56 pieces, Germany. 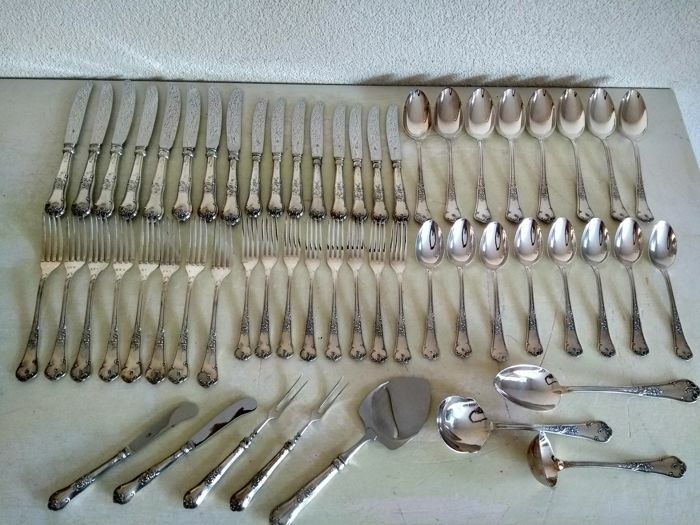 2 butter knives, weight 98 grams, 2 meat forks, weight 98 grams, 1 cheese slicer, weight 102 grams and 3 large spoons, weight 318 grams. 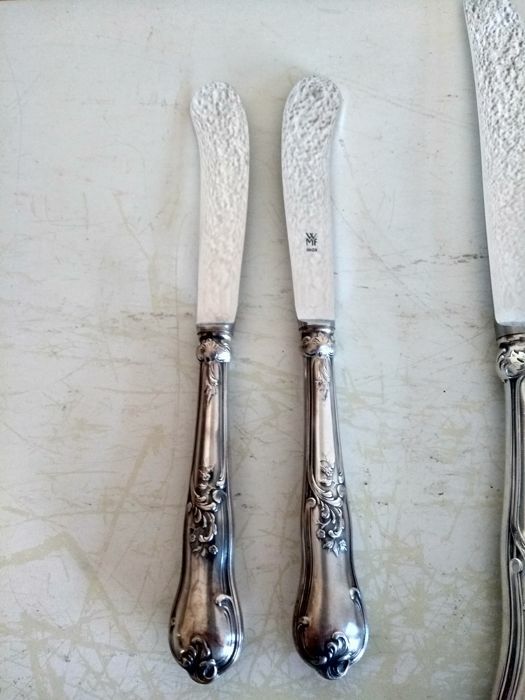 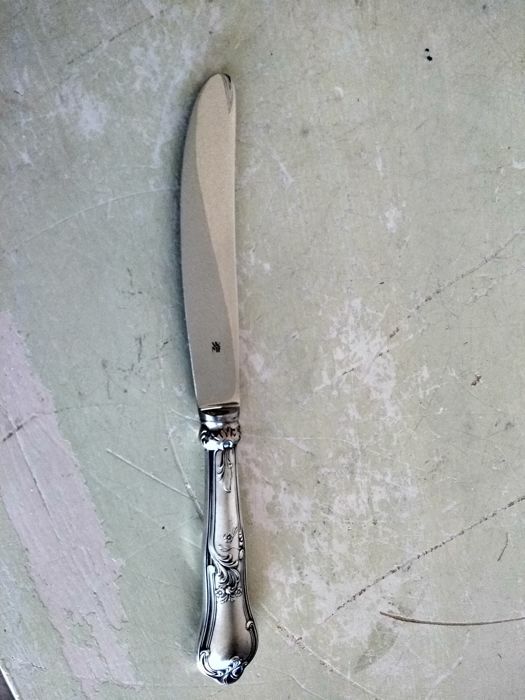 The reflection of the wall can be seen on the knives, they are entirely smooth. 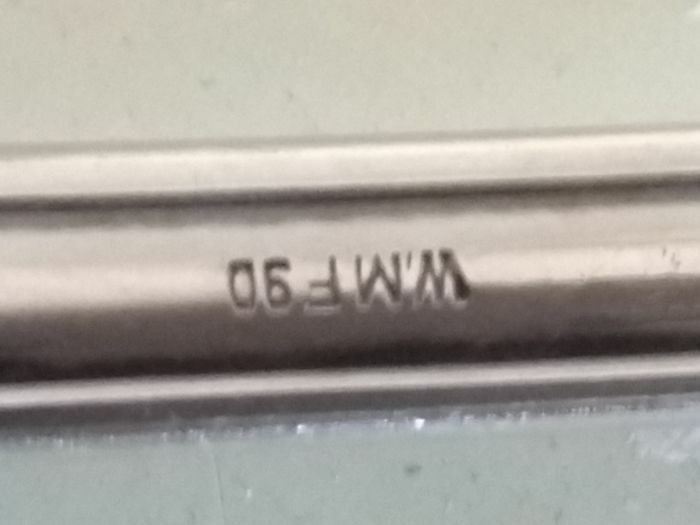 Package will be carefully packed and shipped with a tracking number.